Alternatively, please leave your comment below and we will pass these on to Northampton Borough Council. I haven't yet been able to see the statue, it looks beautiful from the pictures I have seen and to think it is 4,500 years old is amazing. I am also concerned about the potential implications for the accredited status of the museum. My town has much more to offer than just shoes and to limit it in this way is in my opinion extremely short sighted. We have an interesting and varied collection in our museum and each item is part of our heritage in its own unique way. It would be terrible to lose some, let alone all, of our museum in this way. I strongly oppose the sale of Sekhemka on the grounds that our museum collections are not to be used as potential items for sale to provide finance for gaps in the local authority budget. This will inevitably lead a curatorial car-boot sale, in my opinion. The "shopping list" of items to be sold will grow exponentially, year on year. 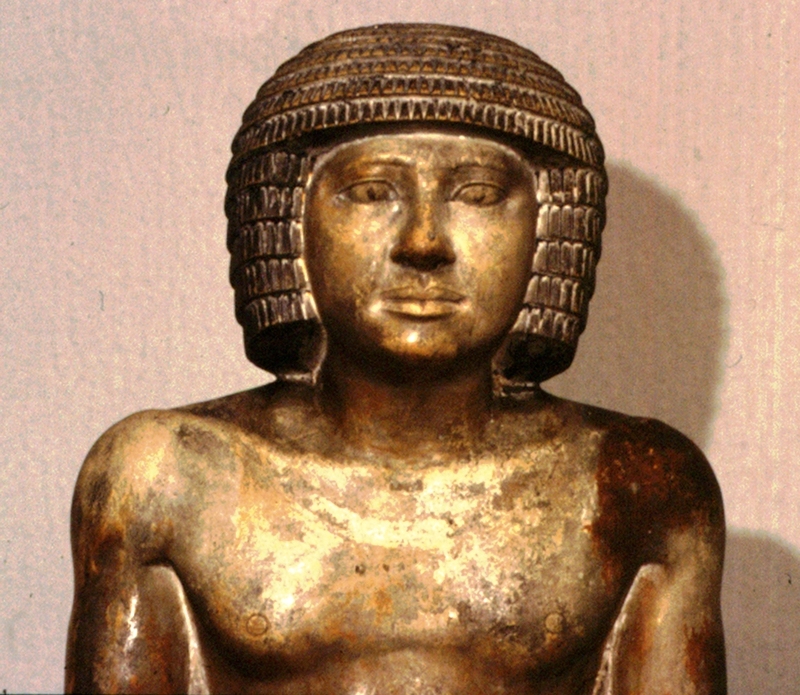 The protest against the sale of Sekhemka is part of a wider opposition to the casual auctioning of the heritage of the people of Northampton. Shame on you. This was a gift and should not be yours to sell. Some things are beyond money and so should this piece be. Money comes and money goes. When you have spent the money then what. Should other kind people donate gifts to your museum? I think NOT because they are NOT in safe hands with your the Council. Keep the Sekhmet in your museum so that I can come and see it. Items like this should only be on loan to museums and remain the ownership of the donator or their families. Ownership remaining with the family means that they can sell should they decide to. I came across this story by chance and, though not a Northampton resident, I am appalled at the 'flog it off' attitude of this, and other, councils. Items donated to public museums and galleries belong to the public. This beautiful and unique piece of work cannot be replaced once it has gone into other hands. I'm sad that the online petition has closed. Can it not be re-opened so that others from a distance can add their names? I read for the first time on BBC Online News, the controversy concerning the sale of this magnificent artifact.It would be a great pity if this went ahead because not only will it deprive the people of Northampton of seeing directly, a remnant of Egypt's ancient past, it will most likely join the many others which have become locked away from the public eye in private collections. It's a sorry state indeed, when local museums consider that the sale of their collections, is the only was to obtain funding. I fear though, that this may become increasingly common practice in a climate of cutting public expenditure and therefore wish you the very best of luck in your endeavors. It seems a strange sense of priorities to suggest that this Egyptian item is a vital part of Northampton's heritage, whilst thousands of tombstones that commemorate local people are left to moulder away in churchyards across the county. Perhaps that is why the petition has only attracted some 199 signatures. The point is that NBC held the item in trust for the People of Northants. It was not given to the Borough Council and it is not a bit of superfluous office furniture to be sold off when no longer required. If there were problems of curation or it was considered outside the collection policy of that particular musuem there are perfectly acceptable ways of passing it on to other UK museums where it will still remain in public ownership and on display, or it could have been returned to Egypt. Given the sale price achieved it is likely to have gone to a foreign private buyer who will have to apply for an export licence, now the only way to keep it in the UK, is for some other museum authority to try to raise the sale price achieved in a public appeal to buy off the Marquis of Northants and Northants Borough Council, rewarding them for their lack of ethics, and for selling off public property. No item of high value in any local authority musuem is now safe, and as has already been stated anyone wishing to donate to them will be having second thoughts. Shocking decision. Not a good for the people of Northampton, it sets a bad president, and bad publicity for the UK. It's simply wrong. Shocking behavior! If there were a deed signed with the donor as mentioned above then how can it be sold ? I can only surmise that the Merquis and NBC have come to an arrangement as borne out by the split of the sale price. This is a beautiful and unique piece of work which belongs in the trust of a good museum and placed on display for all to view. Is nothing safe from the greedy hands of power! And if you truly believe the people of Northampton believe anything these greedy political players say or do, is for our benefit, your wrong. This amazing Egyptian artifact belongs to every Northamptonian. And now its gone, sold, the money no doubt will already be in back pockets. It will be Abington Park next, sold for housing projects! And, you wonder why nobody votes! Egyptian government should do a better job on retrieving its monuments back from the British museums.Apparently they view them as a commodities not a history of mankind. What a shambolic way to run a council I AM ASHAMED to be a Northampton resident. Great to see the money is being invested from the sale for something actually useful rather than a dusty old statue no one card about! Les pays Europeens nous ont souvent berné avec leurs slogans sur: les Valeurs humaines, l'ethique , le respect des cultures... Hélas seul l'interet et le gain financier priment. ¿No es el propósito de un museo preservar, exponer y promover las obras que alberga? El resto se llama anticuarios.